Hey guys, it’s bowl season. 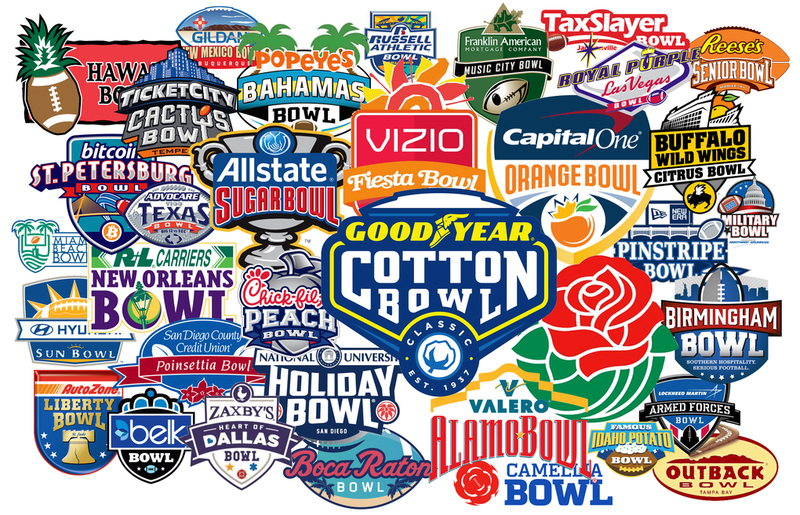 It’s time to hear about how there are too many bowls and then have people remind you that there is never too much football, and if you don’t want to watch it then just don’t watch it. But before we get there, let’s take a quick look back at my regular season picks. Look down there. Yeah, I passed with flying colors and I brought my grade up a full 10 percentage points from last year. It was a good year. I had a perfect pick or two, and as always my BloglESP kept most of my scores close. But the regular season is over, and it’s time to ruin my grade with a bunch of games that will be nearly impossible to pick because they are typically good matchups in terms of competition level. And then you’ve got that team that’s just not excited about going to Montgomery versus the team that is pumped to get a $100 Best Buy gift card. It’s tough, but somebody has to do it. Grambling vs. North Carolina A&T – This pseudo-bowl game is, um, a celebration of football. Yeah, that’s it. Grambling will win because I’ve heard of them more. Troy vs. North Texas – Did y’all know that Troy beat LSU? Yeah, I have not heard that at all over the last two weeks. Not once. Troy is half decent. North Texas just got obliterated by Lane Kiffin in their conference championship game. Let’s go with the Trojans. Troy 50, North Texas 30 – SUCCESS! Western Kentucky vs. Georgia State – If your bowl game is on the CBS Sports Network, good luck. But look at ol’ Georgia State in their first bowl. It has to be their first one, right? … checking … Nope, this is their 2nd bowl game in their history. Their first was a loss in 2015… in the Cure Bowl. I’m pretty sure that’s going to happen again. Boise State vs. Oregon – Well, well, well. What do we have here? Well, we have a Boise State that’s not as good as they once were, but are still pretty decent. And we have a coach-less Oregon that is way down. It’s still a question about talent levels, though. Eh, Oregon wasn’t that good with their coach and now they don’t have one. Boise wins. Boise State 38, Oregon 28 – SUCCESS! Marshall vs. Colorado State – Didn’t New Mexico play in this bowl last year? Seems a little unfair. Well, now we have Marshall flying a long way to play in the T-shirt Bowl, and a decent Colorado State just hoping a state or two over. Rams. Middle Tennessee vs. Arkansas State – These two poor, unfortunate souls get to travel south to play their bowl game in Cramton Bowl. It is a much better facility than it was when I was in high school, but I’m not sure what kind of activities you plan for the teams in Montgomery. Especially since they shutdown BOTH Whataburgers. These two teams register at about the same level for me. Pretty good for a small school. Let’s go with Gus’s old spot. Akron vs. Florida Atlantic – Lane Kiffin gets to sleep in his own bed for his bowl game. Wait, Lane Kiffin never sleeps in his own bed. Heyooooo. Owls go hoot. Oh, and he’s playing Terry Bowden. That’s fun. Florida Atlantic 50, Akron 3 – SUCCESS! Louisiana Tech vs. SMU – This is a cool bowl name. I’m not sure what DXL is, but I got TWO WORDS FOR YA… Frisco Bowl. What? Not what you were thinking? SMU has no coach. Louisiana Tech is half decent. Bulldogs win. Louisiana Tech 51, SMU 10 – SUCCESS! Temple vs. Florida International – Hoo boy, this game is about as exciting as the bowl name. Actually, no, the bowl name is much more exciting. Bad Boys mowing ’em down at the Gasparilla? That sounds awesome. But Temple is literally the most boring school in all of sport. Sorry, Bill Cosby.